Hamilton Hume was born on 18 June 1797 at Parramatta, New South Wales. Hume showed a keen interest in exploration while still a teenager. When he was seventeen he walked from his home at Appin to the Illawarra Range near Berrima and by the time he was twenty-one he was exploring the area around modern-day Goulburn. This latter expedition was at the request of Governor Macquarie. In the early 1820s Hume made a number of expeditions. In 1821 he discovered the Yass Plains and following year he explored the area around modern-day Braidwood. Undoubtedly his most important expedition was the one he carried out with Captain W. H. Hovell. From October 1824 to January 1825 Hume and Hovell travelled from Gunning to Westernport and back. On the journey they discovered the Murray River and the rich grazing lands of the Riverina and northern Victoria. In 1827 Hume found a new route over the Blue Mountains and in 1828 Governor Darling requested that he accompany Charles Sturt on a journey which resulted in the discovery of the Darling River. This was to be Hume’s last expedition. The following year he settled near Yass where he stayed until his death on 19 April 1873. During this time he developed a successful merino stud as well as serving as a local magistrate. In the 1850s an acrimonious public debate between Hume and Hovell occurred. The argument, which continued for twenty years, was over who had been the leader of the expedition to Westernport. Hume was writing another reply to Hovell when he died at Cooma Cottage outside Yass. William Hilton Hovell was born on 26 April 1786 at Yarmouth, England. Hovell became a sailor while still a teenager and by the time he was twenty-two he captaining ships on the South American run. 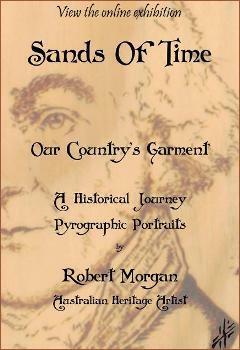 He married in 1811 and sailed to Australia as a free settler in 1813. From 1813 until he was granted land in 1816 he worked as a sea captain on the east coast and New Zealand runs. He left the sea to work his 600-acre land grant near Narellan and soon was making exploratory forays into the nearby hinterland. In 1823 he discovered the Burragorang Valley in the Blue Mountains and in October 1824 he teamed with Hamilton Hume to explore the land between Gunning and Westernport. They successfully completed the journey in three months and the next year Hovell sailed to Westernport with a government sponsored expedition. Hovell was rewarded with 2480 acres for his discoveries. He regarded this as inadequate and petitioned both Governor Darling and the Colonial Office no fewer than six times in the next decade. He was unsuccessful in his petition but did manage to have his debts to the New South Wales Government expunged. In the 1850s an acrimonious dispute as to who had led the 1825-26 expedition developed between Hume and Hovell. Although unresolved it is now agreed that without Hume’s bush craft and Hovell’s navigational skills the expedition would have failed. Hovell spent the last years of his life quietly on his property near Goulburn. He died in Sydney on 9 November 1875.